More than 80,000 ethnic Viet people live in Laos. Their population is difficult to gauge, as many of them live scattered throughout the cities and larger towns of Laos, where they are traders, factory owners, and merchants. The Viet have a reputation as skilled and aggressive businessmen, somewhat similar to the Chinese in that regard. 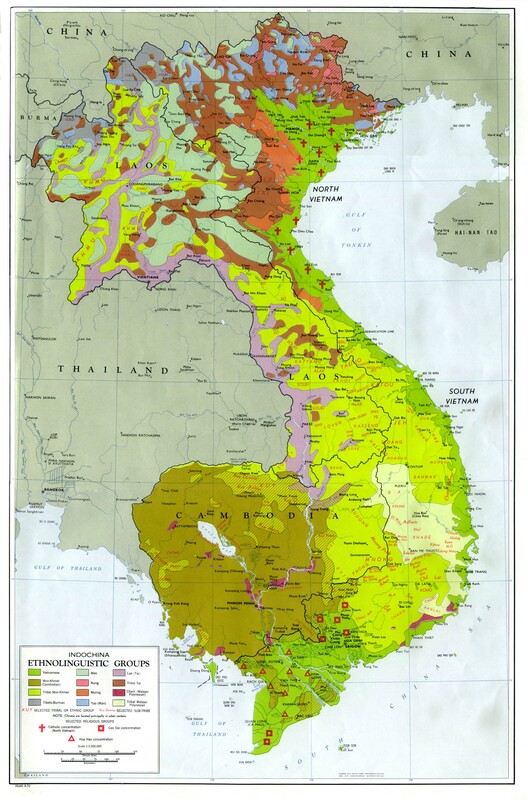 One source states, "Vietnamese can be found in substantial numbers in all the provinces bordering Vietnam and in the cities of Vientiane, Savannakhet and Pakse. For the most part Vietnamese residents in Laos work as traders and small businesspeople, though there continues to be a small military presence in Xiangkhoang and Houaphan provinces." The 1995 Lao census did not count the Viet as a distinct ethnic group, but did mention that there were 14,251 Vietnamese citizens within Laos at the time. Many of them prefer to maintain their Vietnamese citizenship while traveling in and out of Laos to conduct business. There has been a Vietnamese influence in Laos for many centuries, but only since the war in north Vietnam in the 1950s have large numbers crossed into Laos and formed their own communities. By the year 2000 the population of ethnic Vietnamese in Vietnam will be close to 70 million. More than 1.5 million Vietnamese live in over 25 nations on six continents around the world. More than 850,000 Vietnamese live in the United States. The Vietnamese, who call themselves Kinh or Jing have a long history. It is generally believed they were a collection of Mon-Khmer speaking groups who occupied areas primarily in north Vietnam around the time of Christ. About 500 years ago, the Vietnamese migrated to the southern extremities of the country, destroying the Chamba Kingdom in 1471. Unlike the Lao, who follow the Theravada sect of Buddhism, the Viet mostly adhere to Mahayana (`Greater Vehicle') Buddhism. They also have a complex mix of religious influence including Daoism, animism, Caodaism and ancestor worship. About 5,000 Viet in Laos profess to be Christians, of which most are Roman Catholics. * Scripture Prayers for the Vietnamese in Laos. * Pray the Catholic believers among the Viet in Laos would truly walk with God and be people of His Word. * Ask God to give a vision for Laos to the church in Vietnam. * Pray the influential Viet would be used by God to spread the Gospel to many parts of Laos.